After the General Session concluded on Monday, the Additive Manufacturing Symposium kicked off. The 3D printing initiatives that have been worked on here at SOLIDWORKS were unveiled along with a demos of some brand new products from partners such as 3D Systems’ 3DXpert for SOLIDWORKS and Desktop Metal’s Live Parts. The symposium also featured two special guest speakers. One was Terry Wohlers, is principal consultant and president of Wohlers Associates, Inc., an independent consulting firm he founded 30 years ago. What he doesn’t know about Additive Manufacturing and the industry is not worth knowing. He spoke about the importance of Design for Additive Manufacturing and also the future of the industry. This was followed by another glimpse into the future provided by Tim Simpson, the Paul Morrow Professor of Engineering Design and Manufacturing at Penn State University. His presentation talked about the research he has been doing at the forefront of metal additive manufacturing and how it has the potential to disrupt industry one layer at a time. This session was also live streamed at live.solidworks.com and on Facebook live. While the symposium took a break for lunch, the additive news continued. A press conference featuring SOLIDWORKS, Stratasys and CEO and founder of a start-up called Unlimited Tomorrow kicked off. Easton LaChappelle has been in the news before, showing his robotic hands to former US President Barack Obama, but things have moved on since then. His current project involves bringing a real looking, working robotic prosthetic to 100 people. SOLIDWORKS and Stratasys are partnering with him to make it happen. SOLIDWORKS has contributed software, but also funding towards the next 100 arms. Easton LaChappelle spoke about how he has been using SOLIDWORKS since the 8th grade and how he is using to create custom 3D-printed robotic prosthetics. Very impressive stuff. After lunch and the Symposium kicked off again, this time looking at a combination of additive and subtractive. Greg Paulsen from Xometry, spoke about the importance of design for the process you are going to be using, so how do you decide what process to use? Additive or Subtractive? Vivek Govekar followed this up by showing how SOLIDWORKS CAM fits into the additive workflow, using it to remove support structures from metal additively built parts and improving surface finishes and machining in close tolerance features where required. The last session of the Symposium was all about the desktop. Desktop printers were originally positioned as toys for hobbyists but now, the quality and reliability is far beyond that and are being used mainly by professionals now. In some cases, even for production. Formlabs and Ultimaker spoke about the opportunities Desktop printers present. After all, for the price of a huge scale industrial printer, you could have 10 or maybe even 20 or more desktop printers all running at the same time, finishing sooner, and if one is out of action, you still have all the others to take up the slack. Announced on Main stage on Day 2 by Suchit Jain, VP of Strategy for SOLIDWORKS, were 2 new collaborations. 3D Systems and Desktop Metal. These collaborations enable SOLIDWORKS Subscription customers access to new tools from the partners, specifically for Design for Additive Manufacturing. The first product, 3DXpert for SOLIDWORKS, is available to download today from https://www.3dsystems.com/software/3dxpert-solidworks. The second allows SOLIDWORKS users to login to http://labs.desktopmetal.com/liveparts using their MySolidWorks account to get exclusive free time using the product, then preferred pricing going forward. So much 3D printing in so little time! 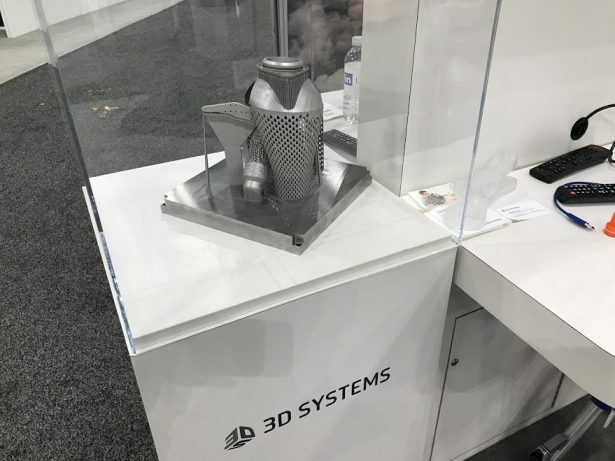 If there was any doubt that the SOLIDWORKS ecosystem was not the best option for designing for additive manufacturing before SOLIDWORKS World 2018, there is now no question whatsoever. If you still haven’t had enough 3D printing content, why not stay in LA and visit the Formlabs roadshow? SOLIDWORKS own Michael Puckett will be there along with SOLIDWORKS customer Matt from the Ring Brothers who were featured during the launch of SOLIDWORKS CAM. 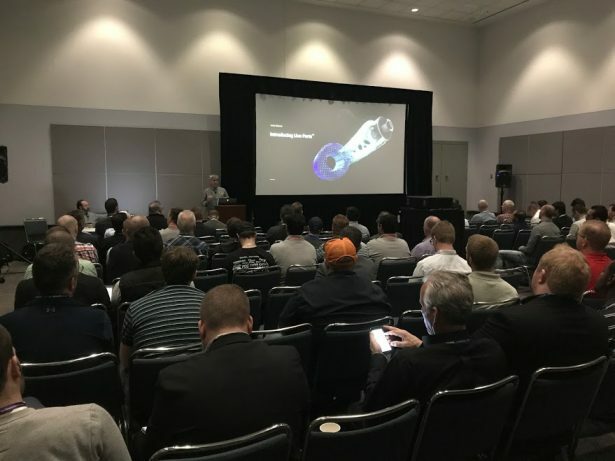 With all of the talk, announcements, breakout sessions and product launches for additive manufacturing at SOLIDWORKS World, it is quickly establishing itself as not just a SOLIDWORKS event but also an event to learn about the latest developments and latest products to help you gain competitive advantage. Mark is a Product Portfolio Manager for SOLIDWORKS.